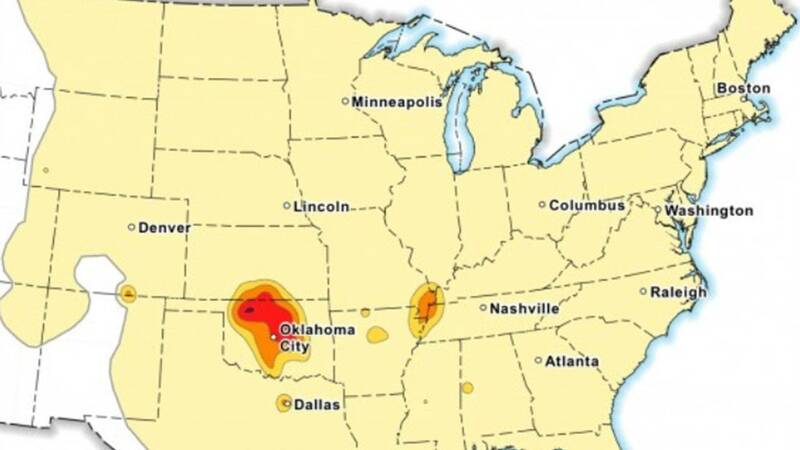 New maps have been released that indicate the locations for future natural and human-induced earthquakes. The story comes from Time Warner Cable News. The U.S. Geological Survey reports human-induced activities are said to be caused from wastewater from fracking. The states that face the most hazards are Texas and Oklahoma.